I searched high and low and all over the Internet for a chocolate sugar cookie. 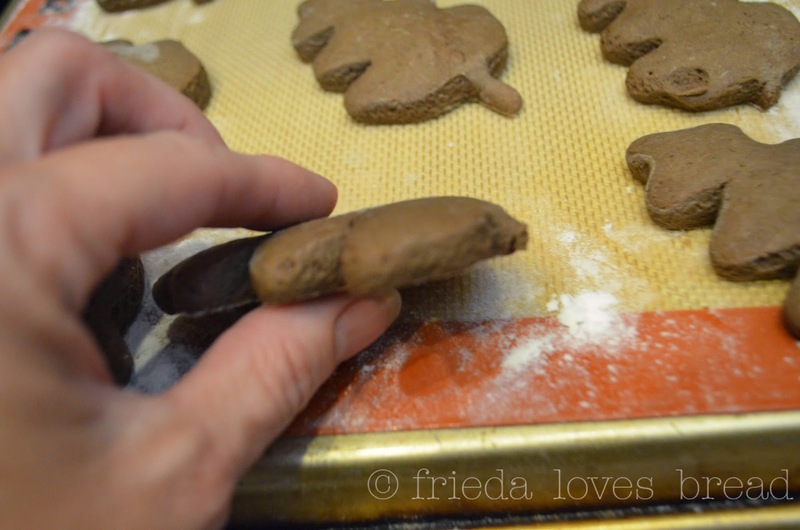 What I found was Lia Lola's Chocolate Sugar cookie recipe. 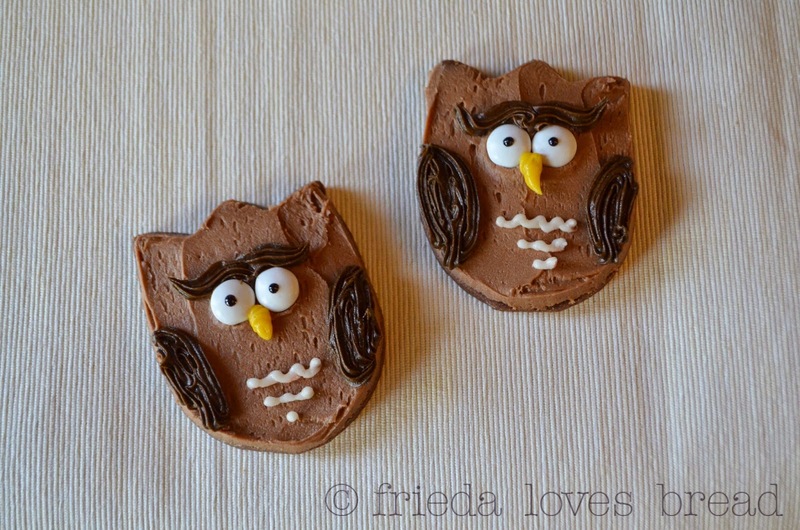 One of my readers suggested that I make this cookie, saying it tastes "like a brownie." Here is a frosted Lia Lola chocolate sugar cookie next to my soft vanilla sugar cookie. See the difference? It is about half the size in height. Her cookie has crisp edges (great for intricate shapes) and a soft, dense interior, much like a brownie. The taste? 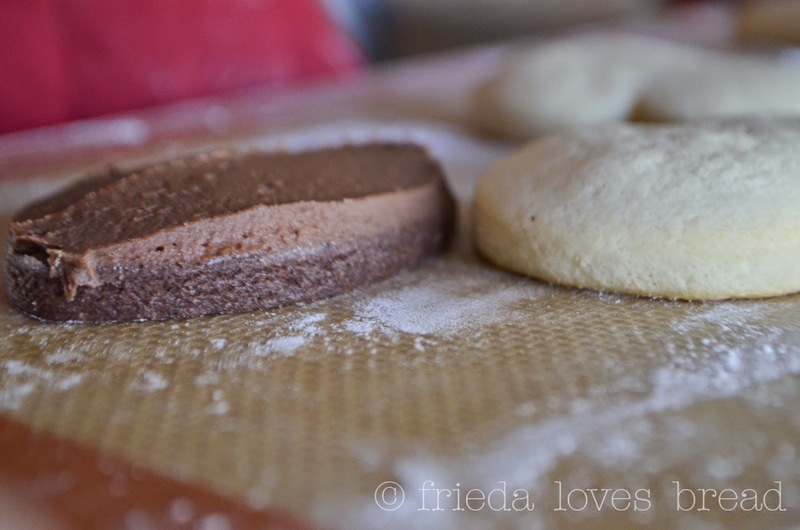 Spot on for a chocolate sugar cookie; not to cocoa-y. However, I wanted the texture of my soft vanilla sugar cookie and made up another test batch, using my vanilla recipe and subbing some of the flour for Hershey's Cocoa. Now, that's more like it! The flavor of this cookie is not overly sweet, as the buttercream frosting is plenty sweet. 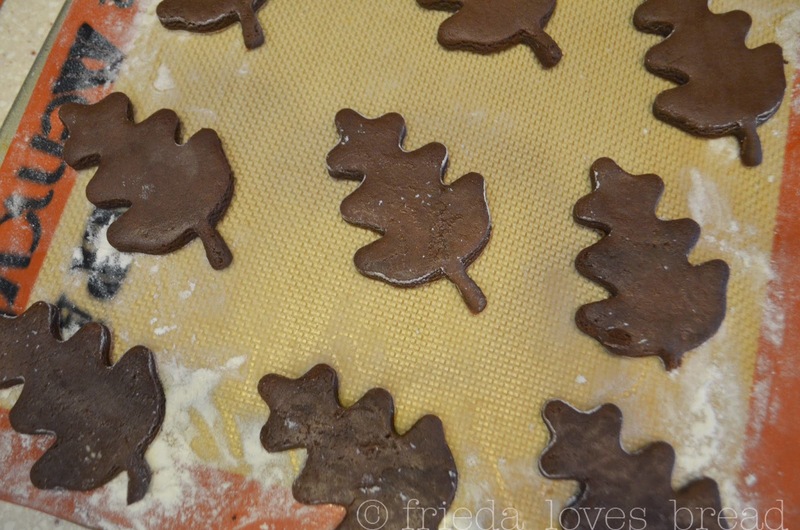 I frosted a bunch of these fall leaves and gave them to my friends and neighbors for tasting. 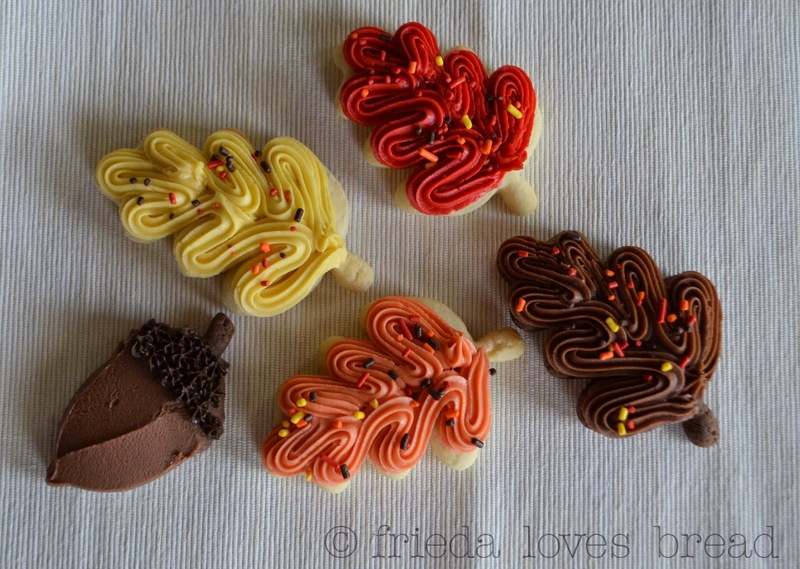 The acorn and one of the leaves is a chocolate cookie. The rest are vanilla. Overwhelmingly, many of the tasters loved the chocolate cookie with vanilla buttercream frosting. The rest loved the serious chocolatey taste of the chocolate frosted chocolate sugar cookies. So, give it a try, and let me know what you think!